Freestyle Now recently performed some bmx and scooter stunt shows at the Mildura agricultural show. 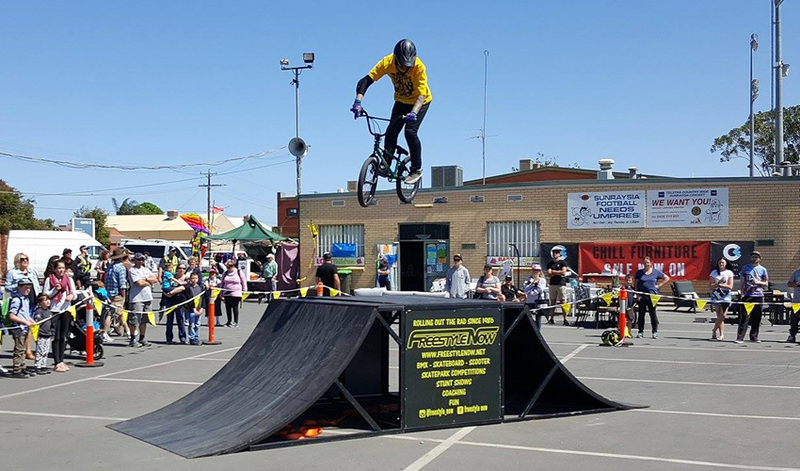 Freestyle Now squad member Lee Kirkman made the journey to Mildura in the north west of Victoria with guest riders Jai Bradley, Shannon Farrugia and scooter rider Matty Ceravolo. 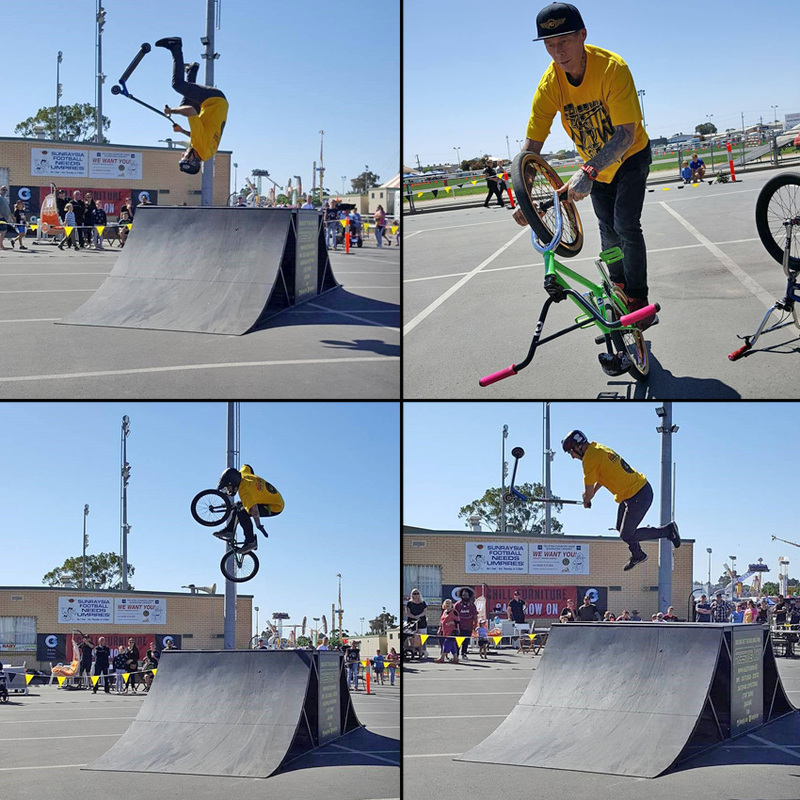 The riders performed some great stunt shows on the portable ramp. With Jai Bradley and Shannon Fuerugia ripping it over the jump box in bmx mode, Matty Ceravolo rolling out the rad with some insane scooter moves and Lee Kirkman performing some great bmx flatland skills, the crowd at the Mildura show were treated to some great riding from the squad during the bmx and scooter stunt show. 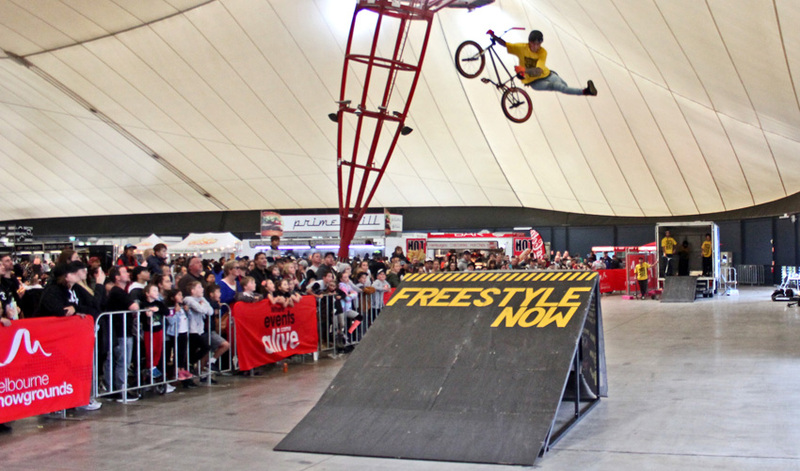 Be sure to check out our coming events page to see where and when Freestyle now will be rolling out the rad next. 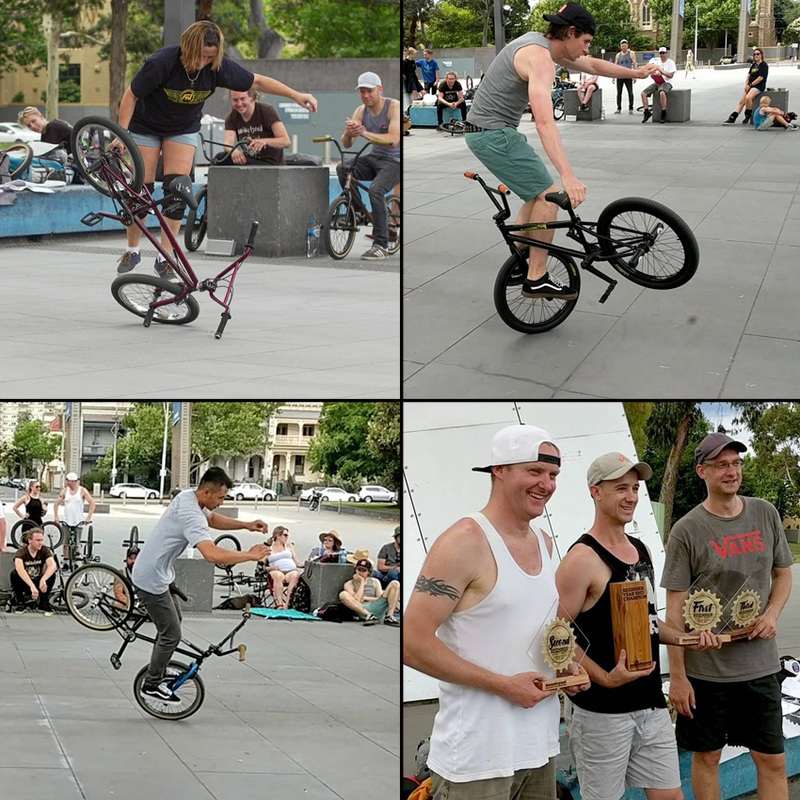 Clockwise from top left – Matty Ceravolo hittin it up with a flair whip – Lee Kirkman rolling upside down with some of his flatland moves – Matty Ceravolo again throwing his scooter around while the crowd making the noise – Jai Bradley taking his hands off while spinning a 360 over the jump box. More photos can be found here on our facebook page. 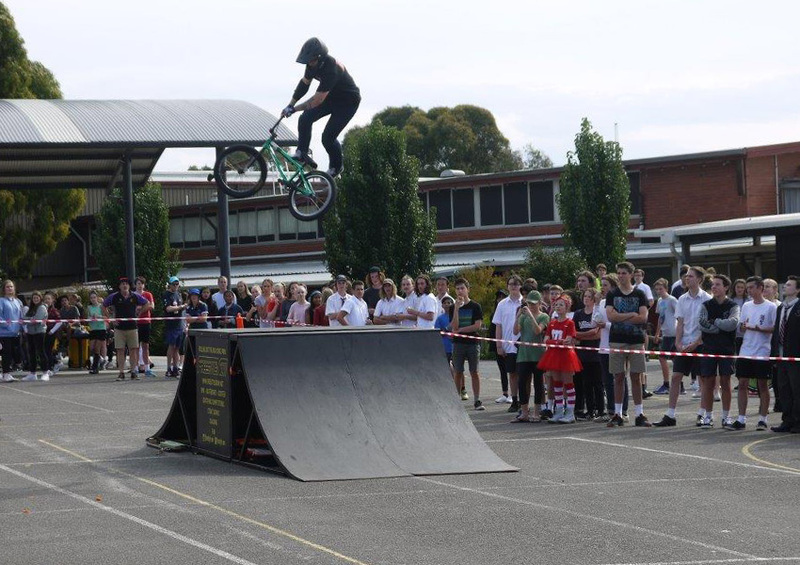 Recently Freestyle Now hosted a school assembly presentation at the Ringwood secondary college in Melbourne to give a motivational presentation to the students. 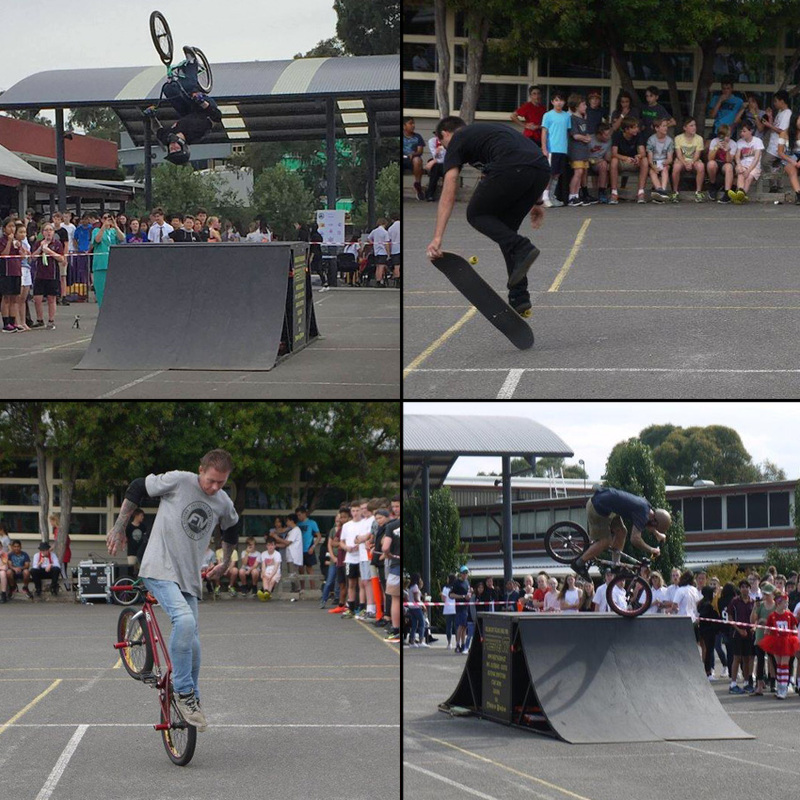 Squad member Lee Kirkman was joined by good friends Jai Bradley, Josh Dunstone and Cal Egginton to roll out the rad and show the students that through dedication and sacrifice you can reach your goals. 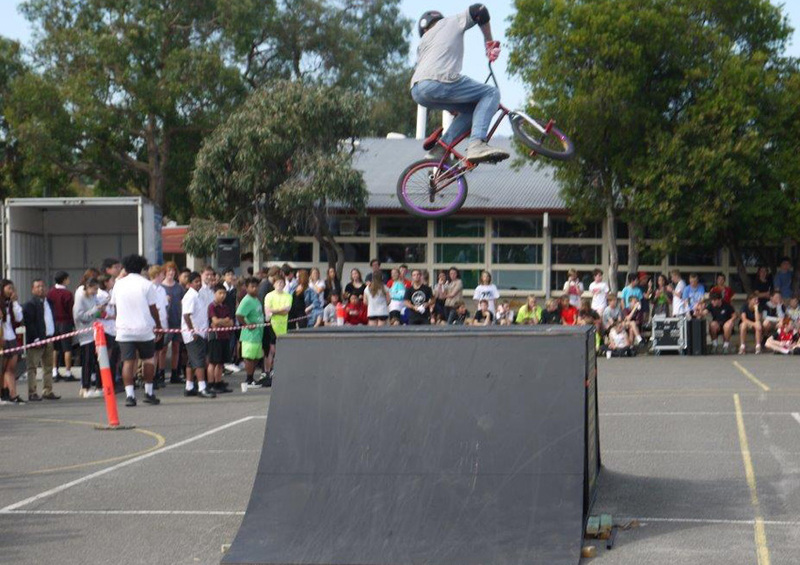 The school assembly was part of the bounce into mental health carnival that the school was holding on the day. Mental health is an important part of living. To mentally strong means you have the capacity to achieve many goals. It is important to be mentally aware and know the signs that things are not well, not just for yourself but for friends and family. Being involved in an activity can help you stay mentally strong. Being active and involved helps you to stay mentally strong. 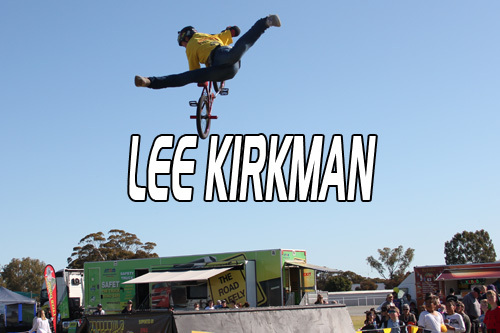 Lee Kirkman has been a professional BMX rider for the past 20 years. His achievements would not be possible without being positive and staying focused. Big 360 at the Ringwood Secondary Collage presentation. 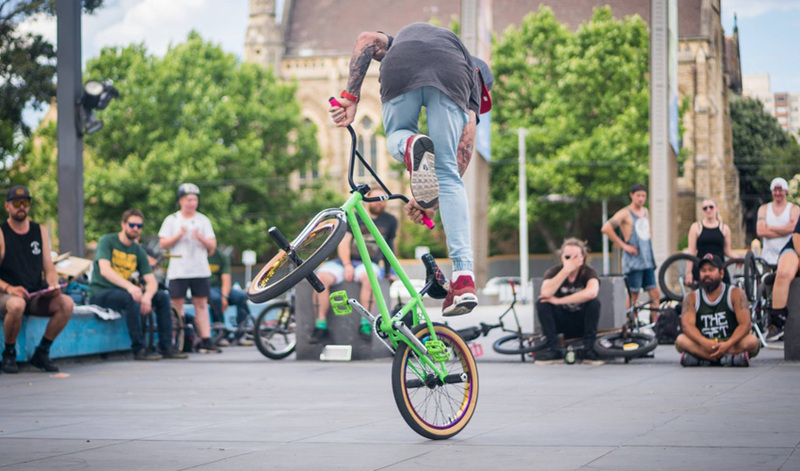 Being involved in BMX, skateboard and scooter activities can help you and others to stay focused and mentally healthy. 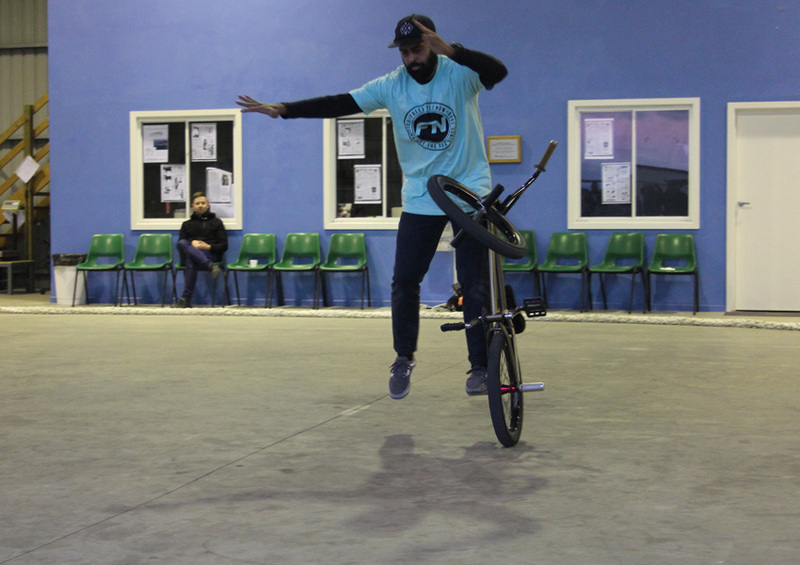 Lots of riders will say that when they are out riding it helps to clear their head as it changes the focus of the thoughts that you have and all of your thought process is devoted to performing tricks and stunts. This was just one of the messages that was delivered in the school presentation at Ringwood Secondary College. 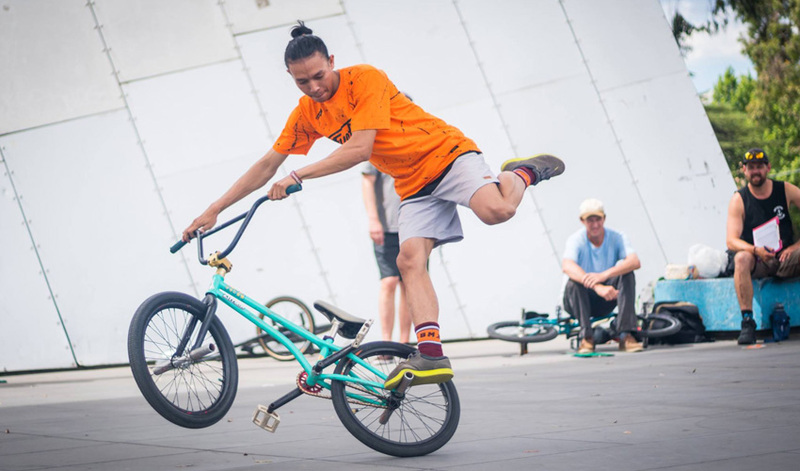 Staying focused and being involved in something creative and constructive, such as BMX, skateboarding or scooters is a great way to stay mentally strong. 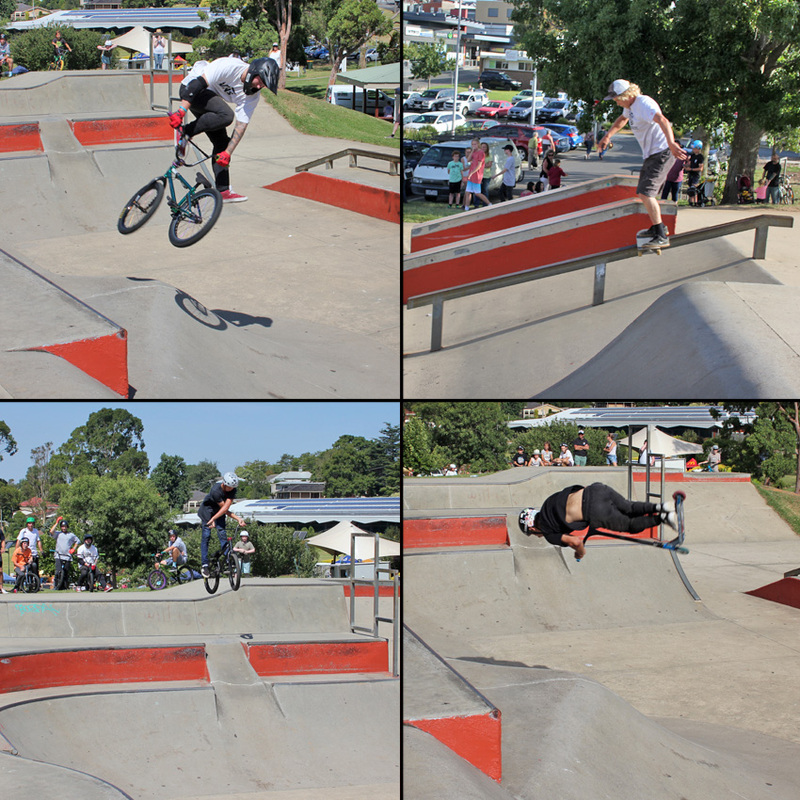 Clockwise from top left – Jai Bradley backflips for the students showing that being focused gives you results – Josh Dunstone can move his skateboard in ways that leave people asking what did I just see – Cal Egginton uses his foot on the tyre to help stall right on the coping of the ramp – Lee Kirkman putting his multi talented bmx skills to the test with some bmx flatland trickery. 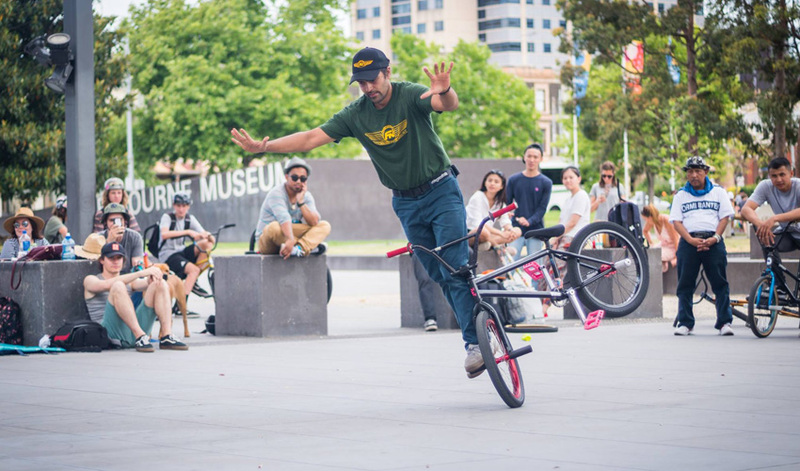 Jai Bradley spins a 360 while the back of the bike spins a 360 as well, also known as a tailwhip 360. You can see all the students are captivated by his skills, a moment in time they will remember for a long time. 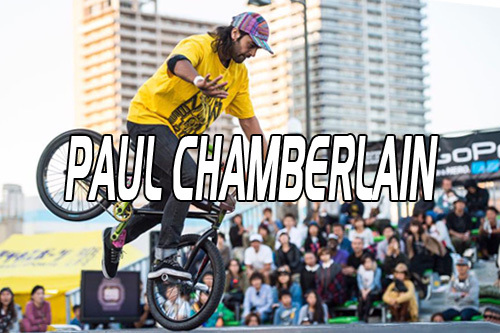 Presenting these positive, meaningful messages and demonstrating the most radical heart-stopping BMX, skateboard and scooter riding that the students have ever seen is what Freestyle Now is all about. When you combine these motivational messages with back flips, front flips, 360 spins and so many other crazy epic stunts those messages stay with students for a long time and Freestyle Now is grateful to bring that radness to life to our young generations. Please don’t hesitate to contact Freestyle Now today for pricings and any relevant information you may require for Freestyle Now to deliver to your school a great school assembly presentation. More photos from the Ringwood Secondary College assembly presentation can be found on our facebook page here. 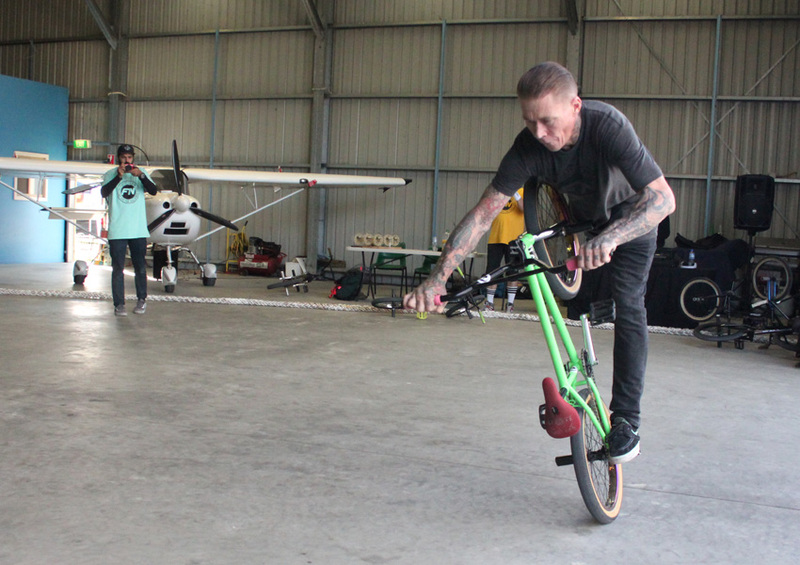 BMX flatland in Australia is rather small compared to all the other disciplines of bmx riding. DownUnderGround which is now into series 9. In the series there are 3 contests, 2 physical rounds and one video round. 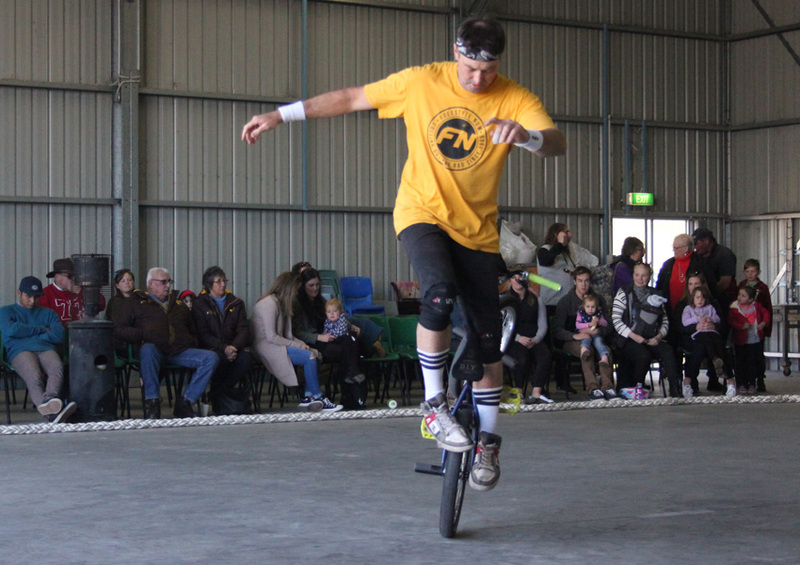 This year the video round was the first round of the series with round 2 taking place on the 10th of June at the Bridport Aerodrome in Tasmania. Round 3 is scheduled for Melbourne on the 25th of November. Freestyle Now squad members Shaun Jarvis, Paul Chamberlain and Lee Kirkman all submitted a video entry into round 1 of DownUnderGround. Its with great pleasure to know that our squad members placed well in the contest. 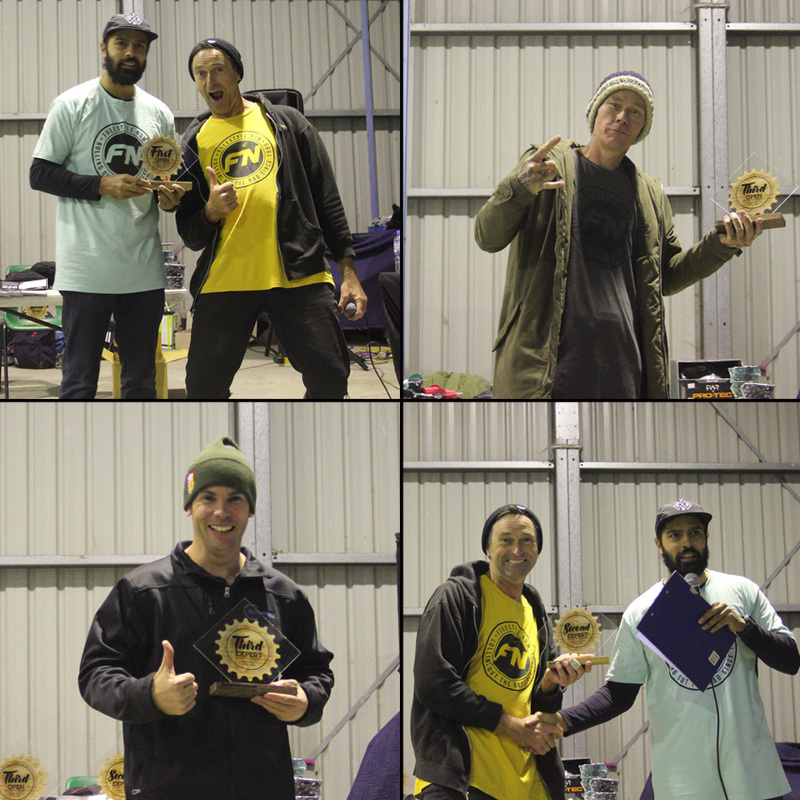 Paul placed 2nd in the open class with Lee taking 3rd in the open class and Shaun taking out the 3rd place in the expert class. Check the below videos to see the radness. 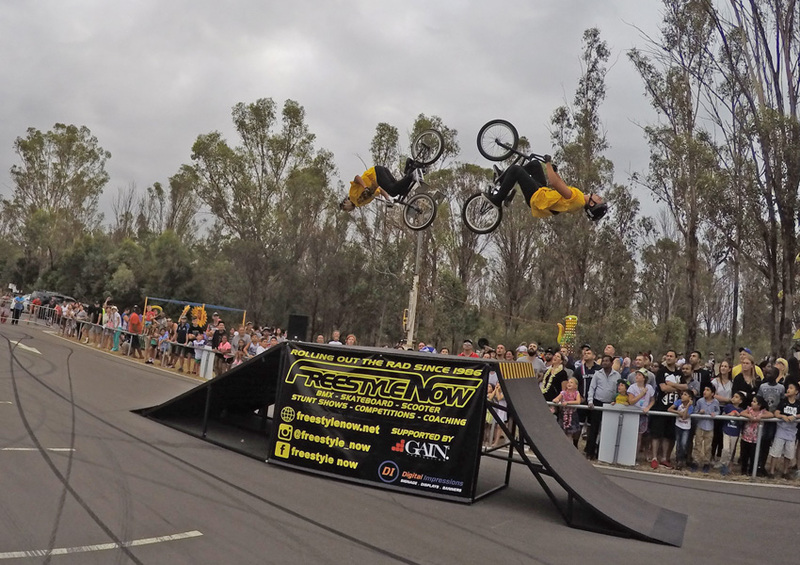 Freestyle Now recently performed some bmx stunt shows at the Blacktown City Council Australia Day celebrations that took place at Rooty Hill in the West of Sydney. The afternoon started out slow with the crowds building as Freestyle Now got set up. 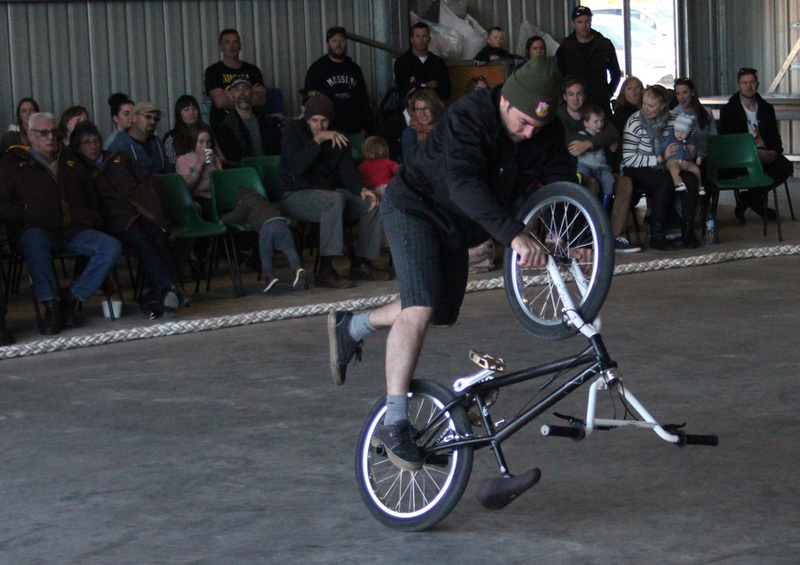 By the time the first show was set to go a good number of people had gathers to enjoy the bmx stunt show. 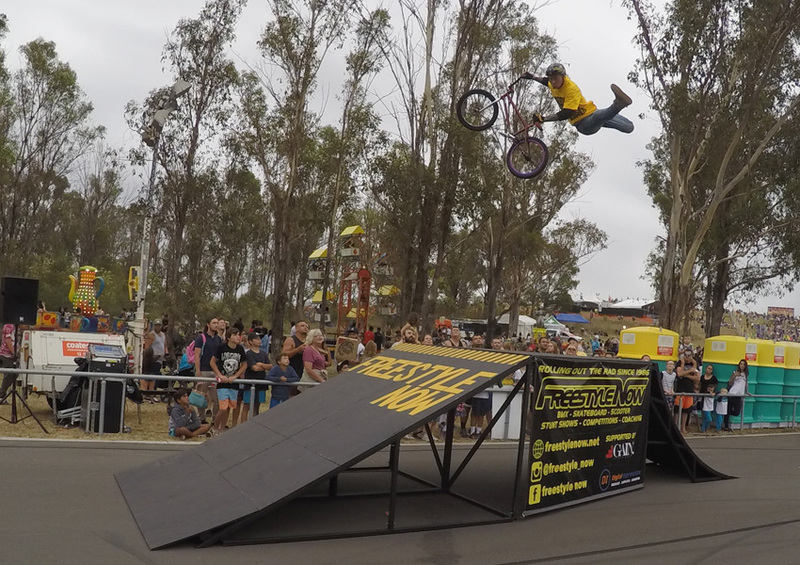 Freestyle Now squad members Lee Kirkman and Shaun Jarvis were joined by Danny Campbell and John Condie to roll out the rad to the masses who had come out to enjoy the celebrations. 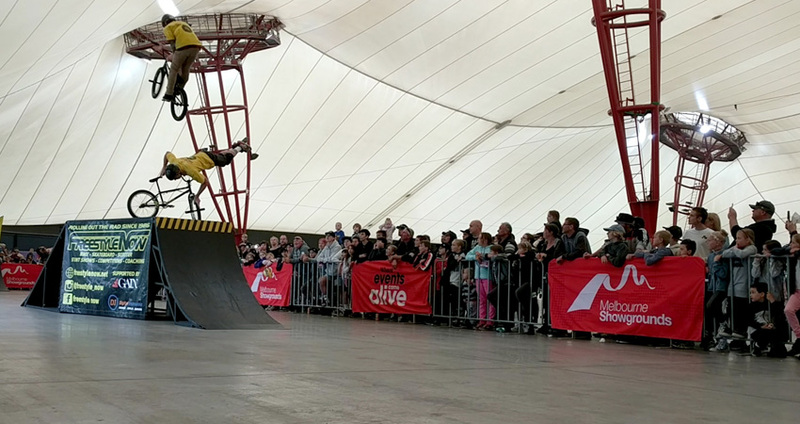 Some rad bmx stunt shows took place over the course of the afternoon with the riders performing a variety of bmx stunts over the portable bmx jump ramp and the Freestyle Now bmx stunt shows drew in large numbers at shows time. 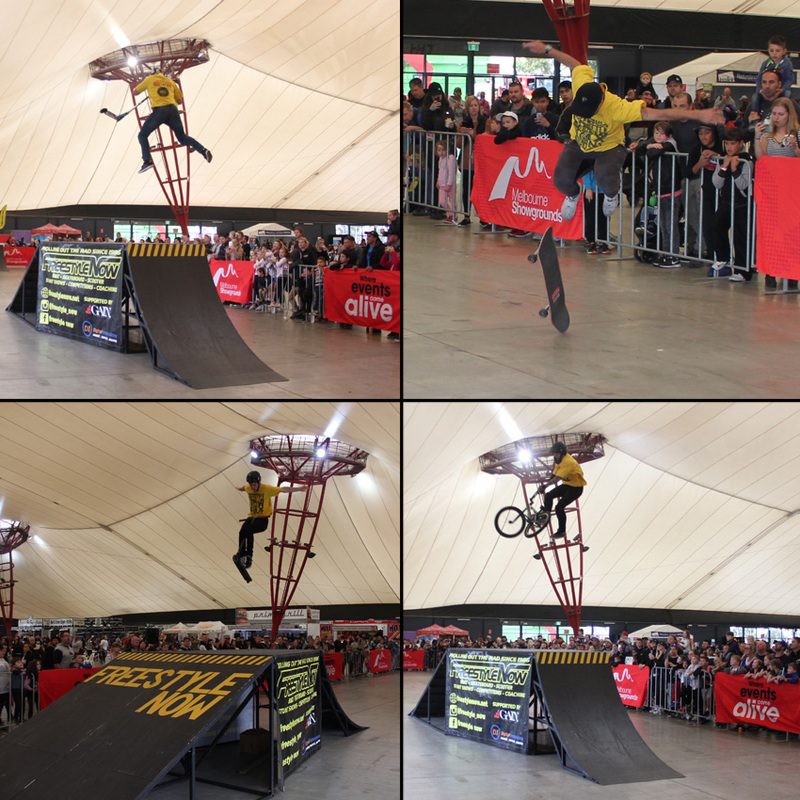 Make sure you check out our coming events page to see where the next Freestyle Now bmx stunt shows will be going down. If you would like this type of great entertainment at your next event please get in contact with Freestyle Now with your requirements. 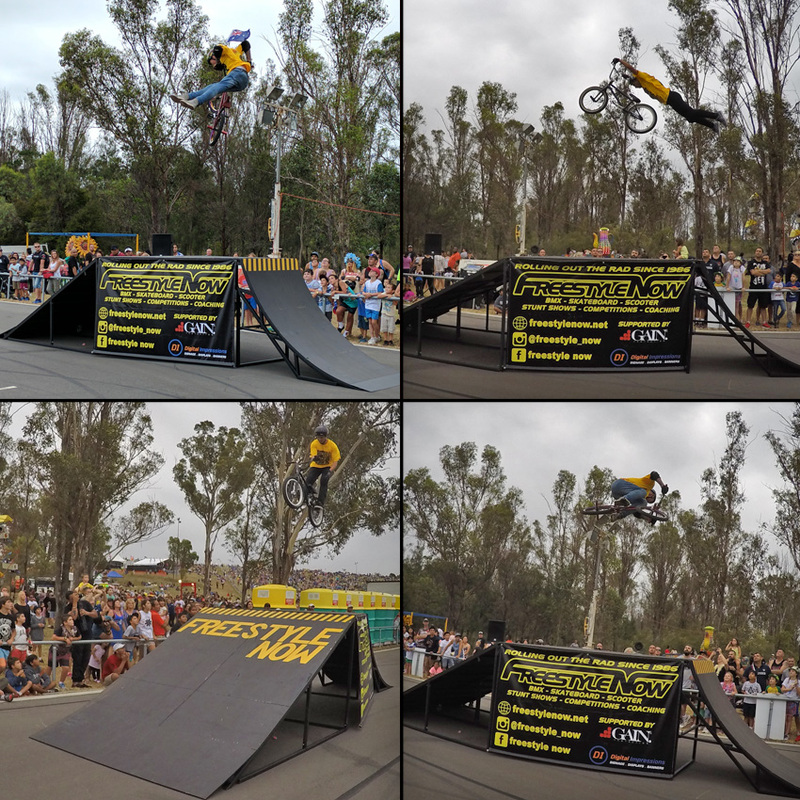 Clockwise from left – Lee Kirkman no footed can can flying the Aussie flag in his helmet – Guest rider Danny Campbell with a perfect super man for the Rooty Hill crowds – Lee Kirkman spinning a flat 360 – Guest rider John Condie throws a slow bar spin over the jump box for the crowd. 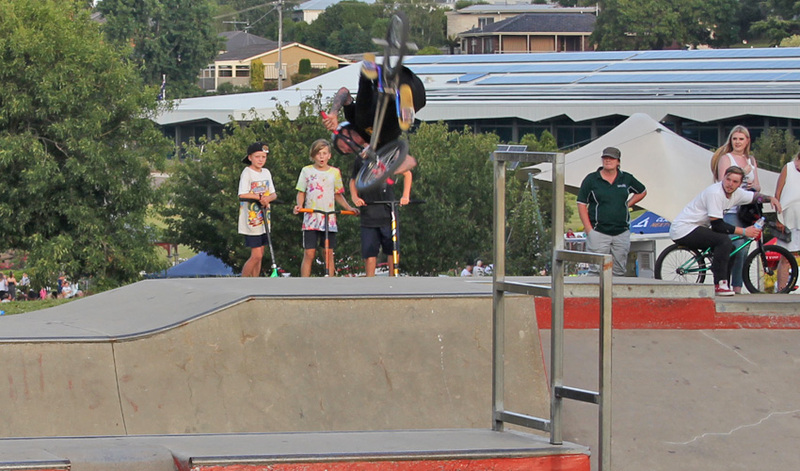 Danny Campbell and John Condie timing their backflips just right. The above is a video from the last show at Rooty Hill. The crowds really got into it.